I have been asked to write a few lines about the American election. Instead of trying to cover everything I have decided to write a little bit about a few issues and put some links down so you can read more if you want to. I decided to put a few of my opinions down in the end to start a discussion. Feel free to discuss and comment. I hope to see all of you in the bar tonight. BBC and CNN have analysed the key issues in the American election focusing on areas such as economy, national security, global warming, health care and so on. Al Jazeera has written an article discussing Obama versus Romney on the Middle East. Abdullahs article is worth reading if you want a little background knowledge on this years campaign. Personally I would have voted for Obama. Mainly because I am more liberal (/Scandinavian HAHA) and the democrats’ policy is closer to my own opinions. If I have to highlight a few specific cases, it would mainly be how I believe that Obama being the American president has strengthened America’s role and appearance in international diplomacy compared to other presidents. With Romney as president it would be some of the same people governing the US foreign policy as under the Bush administration, which is not something I want to go back to. Obama has remained a staunch supporter of women’s reproductive rights and a woman’s right to choose over her own body. Romney on the other hand has said that he would support a reversal of the Supreme Court decision from 1973 that allowed abortion. If you want to know more about this you should read Kristofs’ article beneath. I also admire Obama´s initiative to allow openly gay people to serve in the military, getting rid of the informal “don’t ask, don’t tell” policy. From what I understand of Romney’s policy this would never have happened with him as president. However, I do not believe that any of these issues are concerning Americans worrying about loosing their jobs or the American economy in general. This is something people living in Europe might seem to forget when understanding this election. Regardless of whether you agree with me or not, you should read Bennetts’ article on why you should vote for Romney. Do you agree with this? Have your say below using the comment box. What do YOU think about the election? 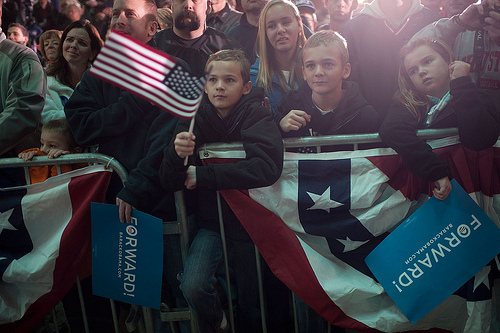 Who are you hoping will become America’s next President?